Compare prices from several car hire companies in Algeciras and find the best price for car rental. Our prices always include unlimited mileage and insurance. Algeciras is a coastal city located at the very southern coast of Spain. The city is located on the east side of the small tip that leads right out into the Strait of Gibraltar, and it takes about 30 minutes to drive to Tarifa, which is Spain’s southernmost point. In 2010 the population was estimated at nearly 120 000. Since the port of Algeciras is one of the largest in Europe, this is one of the most famous attractions in the city. Other attractions also have a connection that this is a coastal city, and visitors can enjoy themselves in one of the most beautiful beaches, play water sports or relax at the many restaurants and bars located along the promenade. 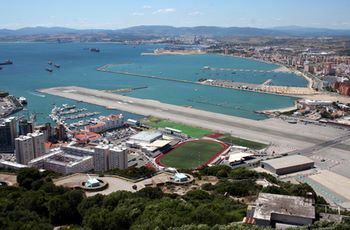 The nearest airport is Gibraltar Airport, located 30 minutes away.